Reiko is a member of the Occult Research Club who is knowledgeable about spiritual, suspicious subjects (i.e. curses, fortune telling etc.). She is Switch's sworn rival and the two have had several disputes over the existence of ghosts. In spite of their natural rivalry and mutual animosity, however, Yuuki actually gets along with Switch quite well (and vice versa). Reiko has a creepy personality and unnerving mannerisms, but does seem to care for her friends. 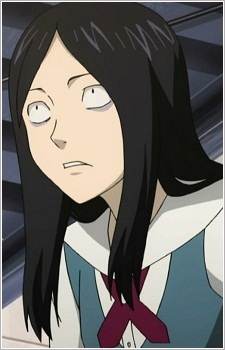 Her appearance resembles that of Sadako, from the movie adaptation of "Ring".